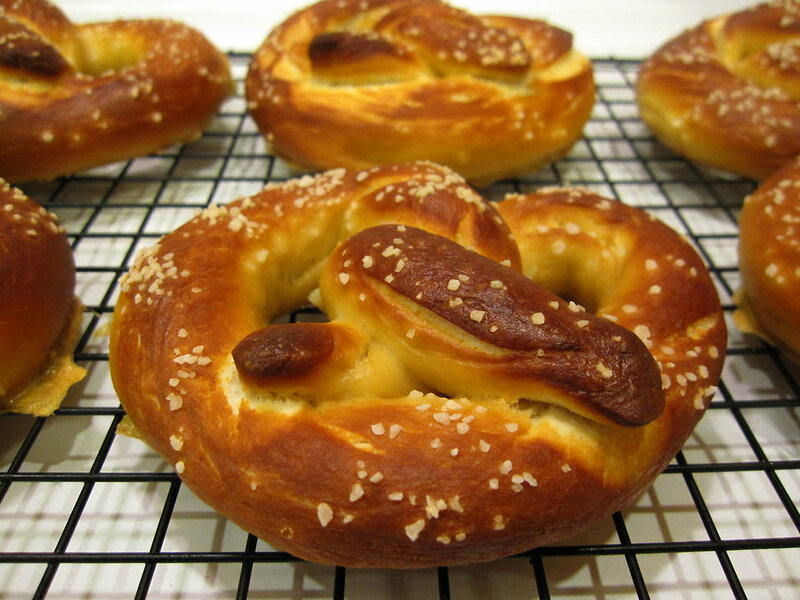 Description: Soft pretzels with salt on a baking rack. Attribution: "Pretzels!" by Ross Catrow is licensed under Creative Commons Attribution Share-Alike 2.0.